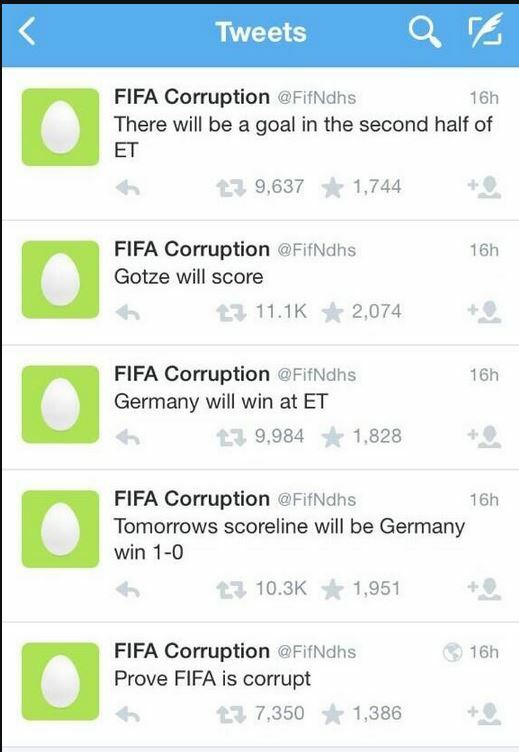 We all watched the Germany and Argentinia FIFA cup, and as we were watching it, the following Twitter message went viral. That Germany will win at ET, and that they will win with 1-0. 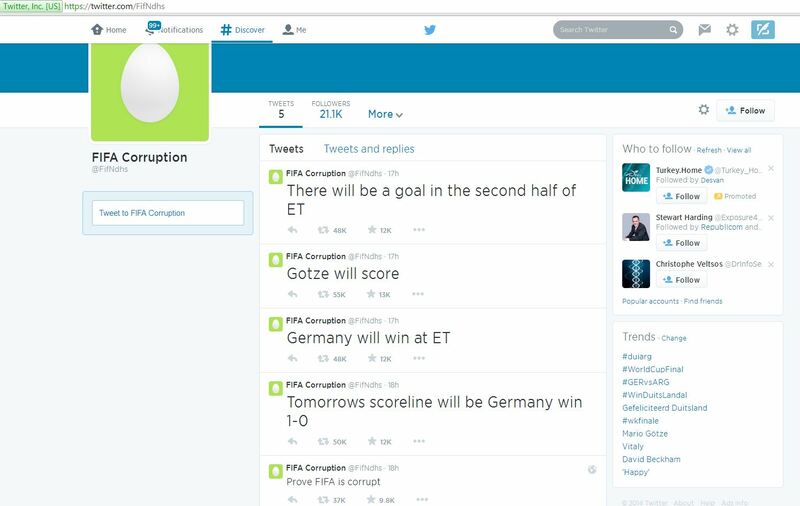 The Twitter message claims that FIFA is corrupt. Twitter accounts predicting the outcomes of several high-profile football draws, leading some to conclude that those in charge of the draws are corrupt, have turned out to be a scam to build twitter audiences for these newly created and so-called ‘ITK’ (in the know) accounts. @uefacorruption was set up 24 hours prior to the last 16 of the Champions League draw and gives the impression that they successfully foresaw the ties that would emerge following the drawing of the remaining 16 teams left in Europe’s elite club competition. The account’s first Tweets include: “Through our twitter account we are going to reveal a portion of UEFA’s corruption and manipulation”, and “Corruption that is led by people from behind the scenes. For economical reasons that are harming the sport”.